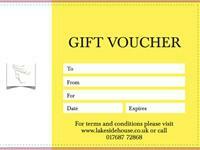 For those who have it all why not give them something they will love with memories that will last forever. 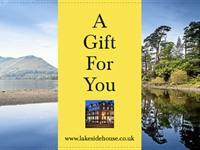 Available for any £ value towards a minimum 2 night stay with us at LakeSide House. Choose how you pay, we simply take a £50 deposit at the time of booking and the balance, as always, is due on departure for future bookings, or the full amount for £'s towards a stay. Please note we have a two night minimum stay policy at LakeSide House so whilst vouchers can be used as part payment they will not over-ride our 2 night minimum stay requirement. 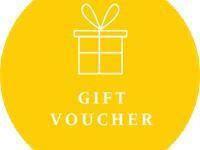 Call today and I will happily discuss the options whether you want a voucher to cover a full stay with us or a voucher towards a stay with us we can tailor it to your needs.